Why Do We Talk So Much About Minecraft? 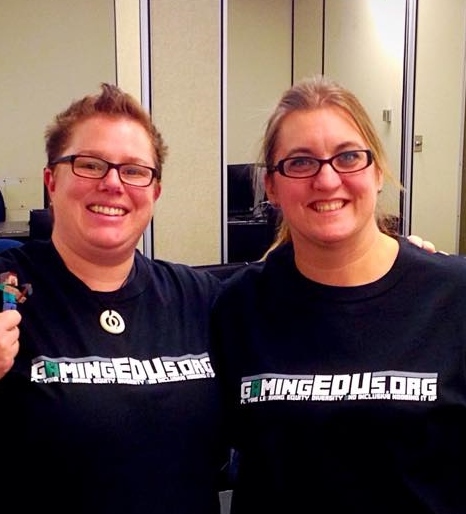 Jen Apgar and Denise Colby at ETFO ICT Conference in November 2014. Rocking the new shirts Andy Forgrave created and gave them. Jen Apgar and I presented at the November EFTO ICT conference in Toronto. We spoke once on Friday, and facilitated two hands on sessions on Saturday. Saturday was great, not only were we all able to play, but some children of teachers were on the professional play server, as well as, Gamingedus Liam O’Donnell and Andy Forgrave. Interestingly, during the morning session someone asked us how much we get paid for promoting Minecraft. This took me by surprise, as it had never occurred to me that people might think we were selling the game. But I guess that is what happens when you talk about what you feel passionate about. 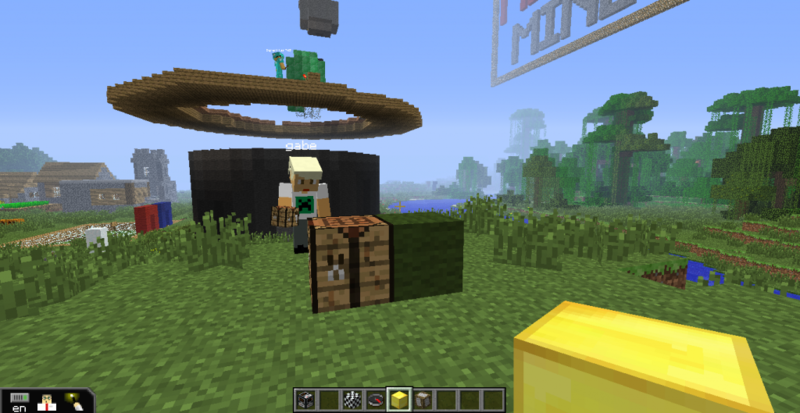 Games based learning, especially using Minecraft (right now) is something all of us at Gamingedus.org feels passionate about. We have spent lots of our own money to ‘evangelize’ how engaging and malleable this game is. How there is already a lot of student buy in, and many, many ways to connect it to the curriculum. I don’t think any of us regrets money we have spent on conference fees, conference related expenses or the many licences of the game we own. 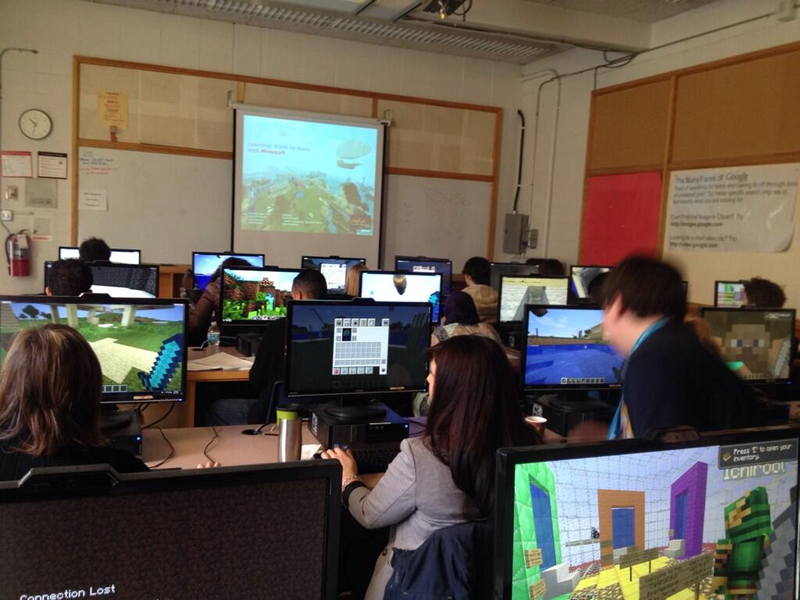 We do this because we enjoy it, and value the role gaming plays in our classrooms. This year has been good to Liam, Diana, Zoe and I, because we received a TLLP grant from the Ministry of Education. This meant we could actually do more to share of our passion with teachers in our board, and other boards, without having to pay for everything completely out of pocket. It has nudged us to focus our thinking more keenly on what we believe about games based learning, and how to best share our passion. Personally, I have found being accountable to this grant has also made me even more reflective about what I do, and how I think about what I am doing. This past Friday Liam, Diana, and I met with Dr. Jason Nolan and Melanie McBride at Ryerson University’s Edge Lab to talk about what we have been and are currently doing, and later just the three of us (Liam Diana and I) we able to look over our plans for the year and reassess where we are in our project. It was great to have a day (ETT Federation day) to met and examine our professional learning, and greater still to know that if we really needed more time, we have a budget, from our grant, to support us. Would it be nice to be paid for what we do? 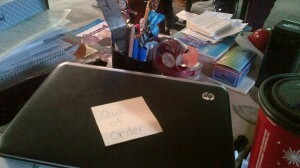 Sure! But like so many teachers *cough* @TeacherHann *cough* we share because we feel so strongly because we have seen the impact it has on our students, and when you find something that ignites, engages and inspires your students, you want to share it.